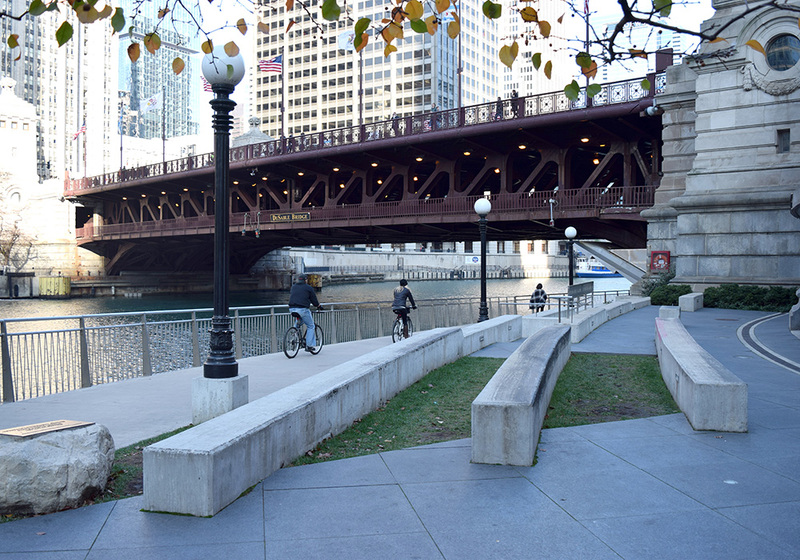 Cyclists ride along the recently developed Chicago Riverwalk, which features recreational infrastructure, restaurants, and numerous pedestrian seating areas along the Chicago River. The double-decker DuSable Bridge sits overhead. Photo by Kelly Wilson. As the only Foundation dedicated to the practice of planning, the APA Foundation is uniquely positioned to support research that provides planners with tools and solutions to help communities plan for future challenges and respond to trends. FutureShape is one such research initiative. The purpose of FutureShape is to collaboratively produce a research agenda for the planning profession that can be used by funders, researchers, and others as a guide to prioritize research activities worldwide. FutureShape will bring together thought leaders, planners, officials, and funders to build an authoritative blueprint for the impact of planning in the 21st century.